Hot Galvanized Steel Frame, Drop Forged Ends Turnbuckle, Jaw & Jaw 3/8" x 6"
Overall Closed Length (Inches): 11.8"
Hot Galvanized Drop forged Turnbuckles per Federal Specification FF-T-791b. Eye, Jaw and Hook fittings are heat treated. The Frame is carbon steel, hot dipped and galvanized. Ultimate load is 5 times the Working Load Limit. 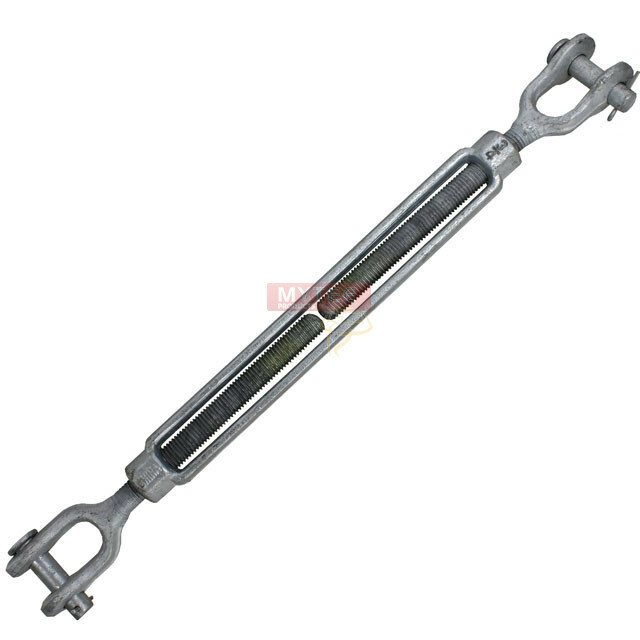 Turnbuckle, also known as Bottlescrew or Stretching Screw, is a wire, rope, tie-rod or cable tensioning device. It consists of a Frame and two ends. The ends can be Jaws, Eyes, Hooks or any combination. The ends have threaded extensions that are coupled with the end grooves of the frame. Rotation of the central frame brings closer or sends further apart the ends thus tensioning or loosening the setup. 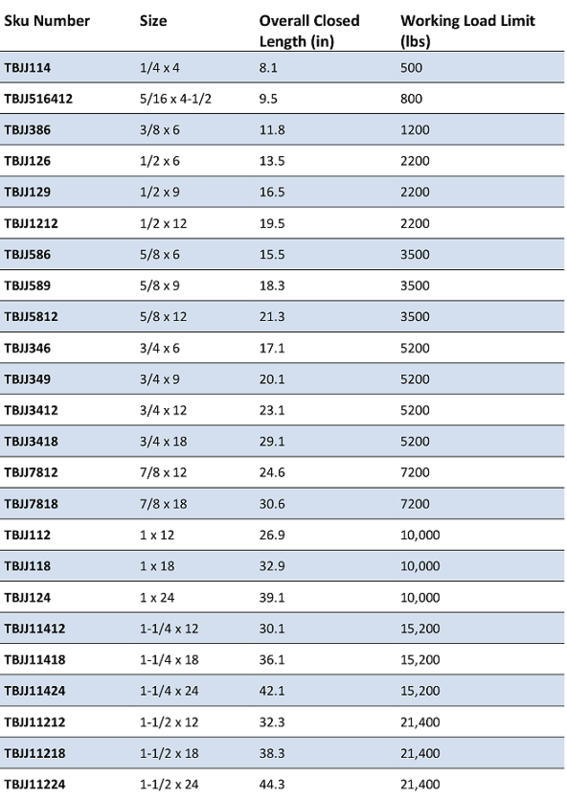 Size is represented as Thread Thickness x Variation Window. E.g. 1/4" x 4" with Overall Closed Length at 8.1" means the turnbuckle Thread is 1/4" thick, can expend or contract a total of 4" and measures 8.1" in totally closed position, 12.1" in totally open position.